Cara Delevingne x Armani Exchange, Spring-Summer 2018. 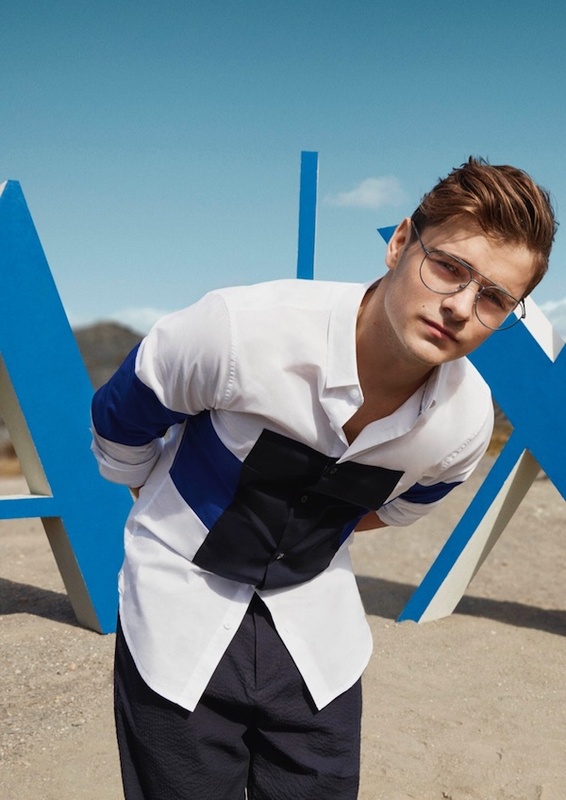 Cara Delevingne and DJ/producer Martin Garrix front Armani Exchange’s new Spring-Summer 2018 campaign, which was photographed on-location in a desert by Sabine Villiard. FashionCara Delevingne on the cover of 'Glamour' magazine, August 2017. MusicMarc Jacobs - Fall-Winter 2016 campaign. MusicWatch: Cara Delevingne dancing to One Direction. FashionCara Delevingne x Moschino campaign for Magnum. FashionCara Delevingne on the cover of Vogue Paris, October 2017. FilmMust-watch: 'Valerian And The City Of A Thousand Planets' trailer. FashionThere’s gonna be a Cara Delevingne documentary. FilmWatch Cara Delevingne + Emilia Clarke have an 'Eyebrow-Off'.